"With a total area of only 258.8 square miles, Rains County is one of the smallest counties in the state, and more than 10 percent of it has been under water since the construction of Lake Tawakoni and Lake Fork Reservoir. 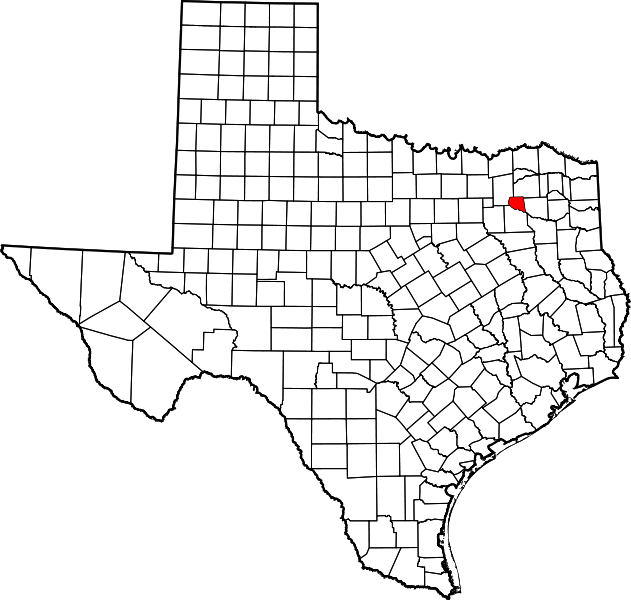 "After 1850 most of the area that later became Rains County fell within the boundaries of Wood County, which was represented in the state Senate by Emory Rains, an early pioneer who had served in the Congress of the Republic of Texas. 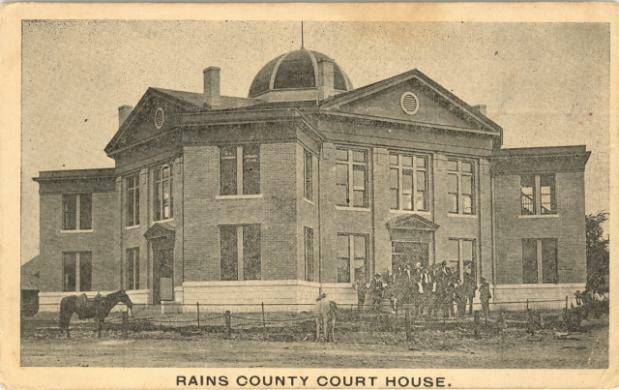 In 1866 Rains lobbied for the bill that established Rains County. On June 9, 1870, the legislature approved 'an Act to create and provide for the organization of the County of Rains.' The bulk of the new county was taken from Wood County. The western section, including the sites of the first settlements, came from Hunt County, and a narrow strip of land in the north was carved from Hopkins County. "The act provided that the citizens should choose a county seat, to be named Emory. 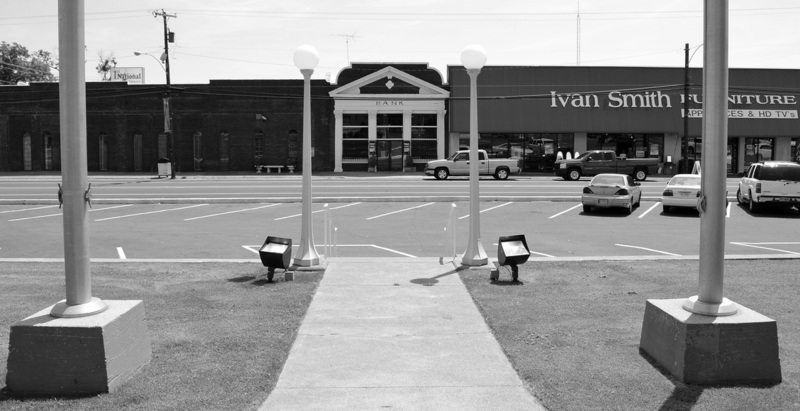 Springville, the largest and most centrally located community, was designated the temporary place of business for the five appointed commissioners and was later selected as the permanent county seat and renamed Emory." 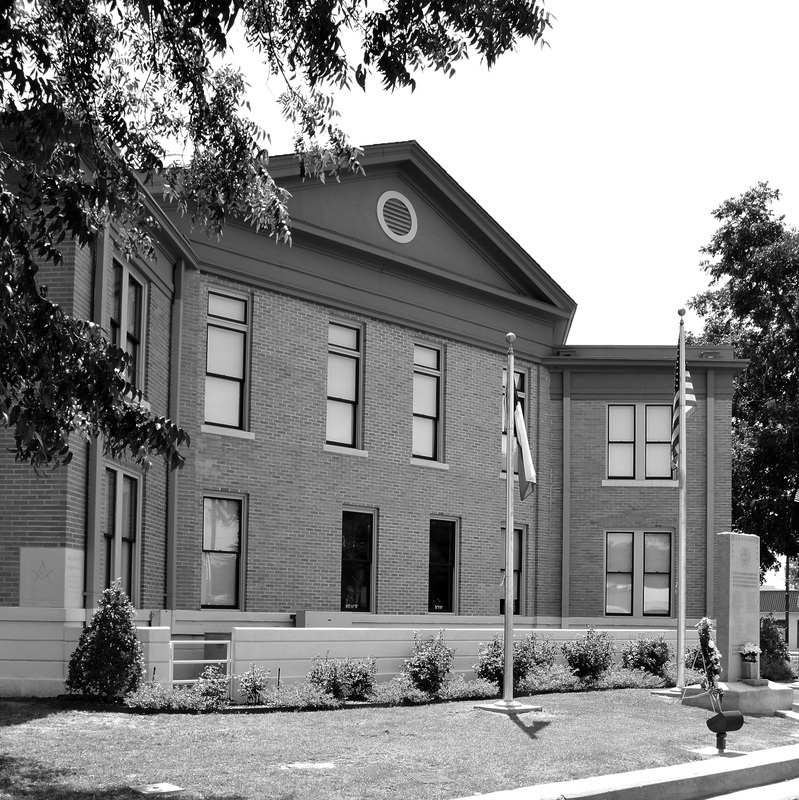 I visited Rains County and photographed the courthouse in Emory on Saturday, July 13, 2013. 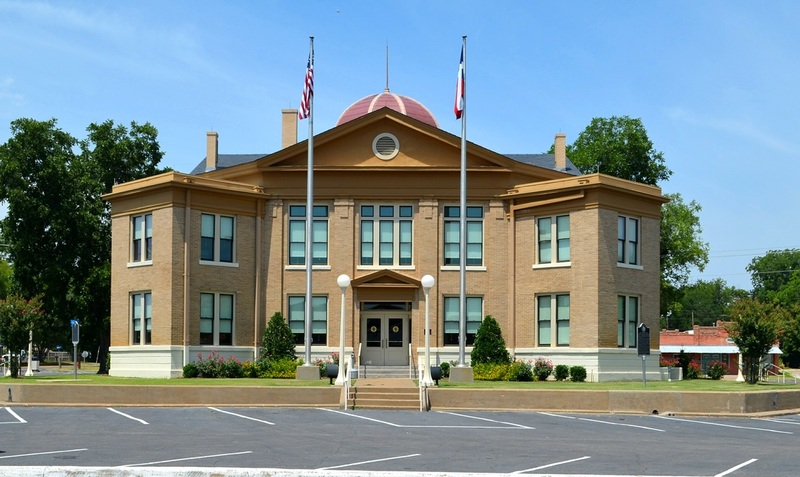 The Rains County courthouse was restored under the Texas Historic Courthouse Preservation program in 2008-9. Thankfully, the restoration included the removal of the 1952 addition. 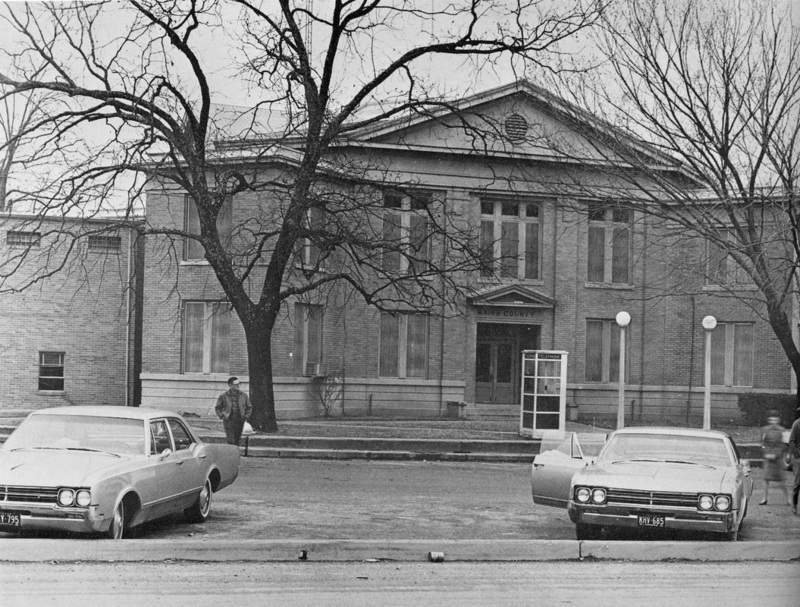 Photo by Larry Nance, 1969, from "The Texas Courthouse"
The Round VIII Texas Historic Courthouse Preservation Program grant recipients were announced on April 30, 2014 by the Texas Historical Commission at its quarterly meeting. 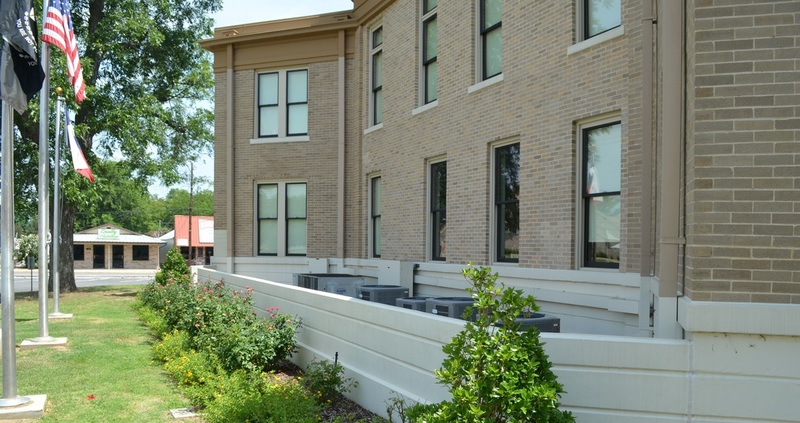 Rains County: $14,870 grant award for small remedial repairs to windows to address water intrusion. The view from the courthouse steps. The bank façade actually aligns with the courthouse axis! The southeast façade, on Planters Street. The cornerstone is on the northeast side of the building. 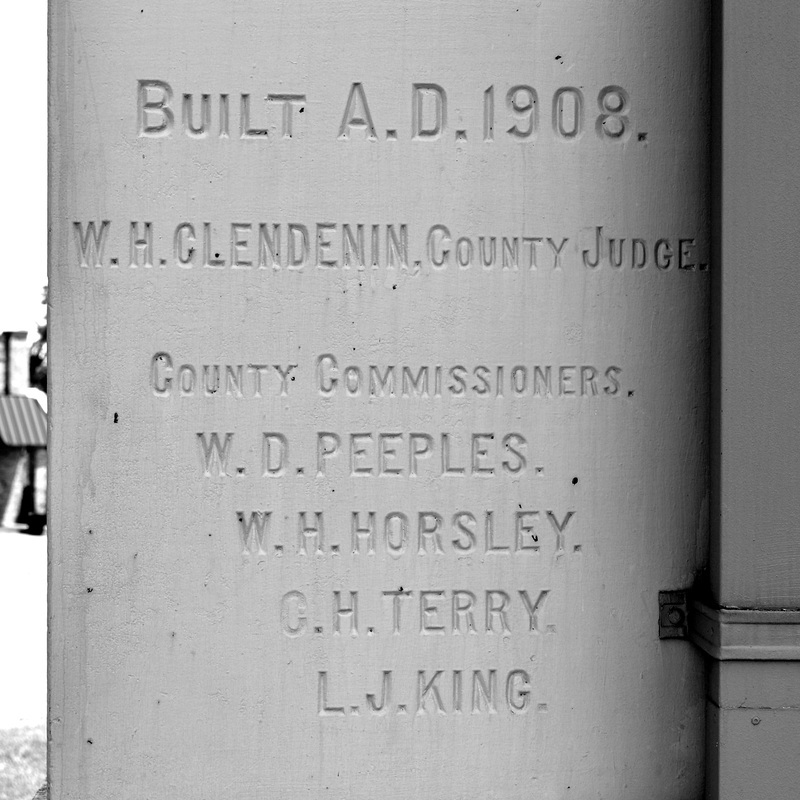 One side of the cornerstone. 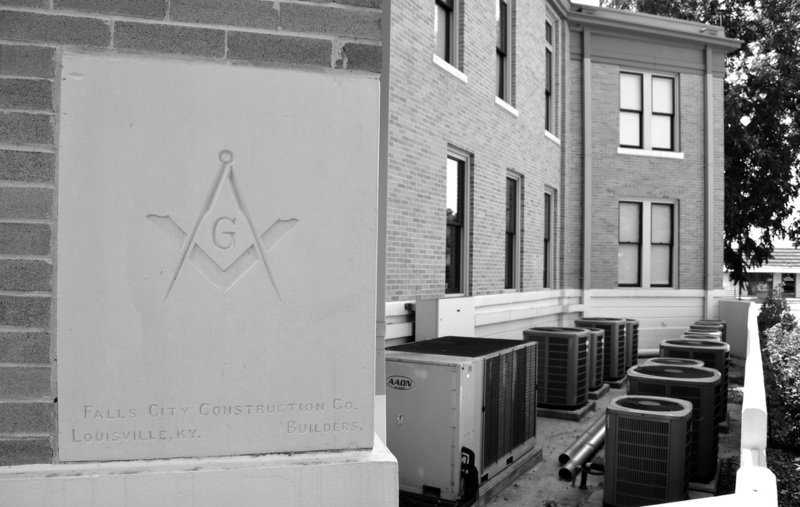 The other side of the cornerstone. The architect was not memorialized on the stone, for some reason. The courthouse viewed from the south. The 1952 addition was removed from this side of the building. The mechanical equipment is nicely screened. Buildings on the southeast side of the square, on Planters Street. 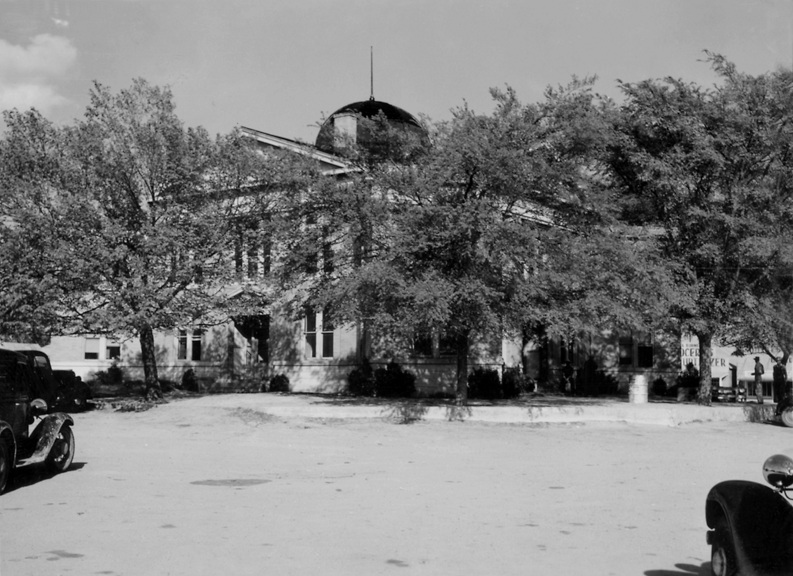 The county commissioners offices are on the northwest side of the square.